Dogs find the act of pulling against their leashes rewarding. It's just their natural instinct. If your dog is a fantastic puller, there are a couple of products on the market that can help reduce this behavior: the Gentle Leader® and the SENSE-ation Harness®. WoofGang can help you decide which might be best for your dog. 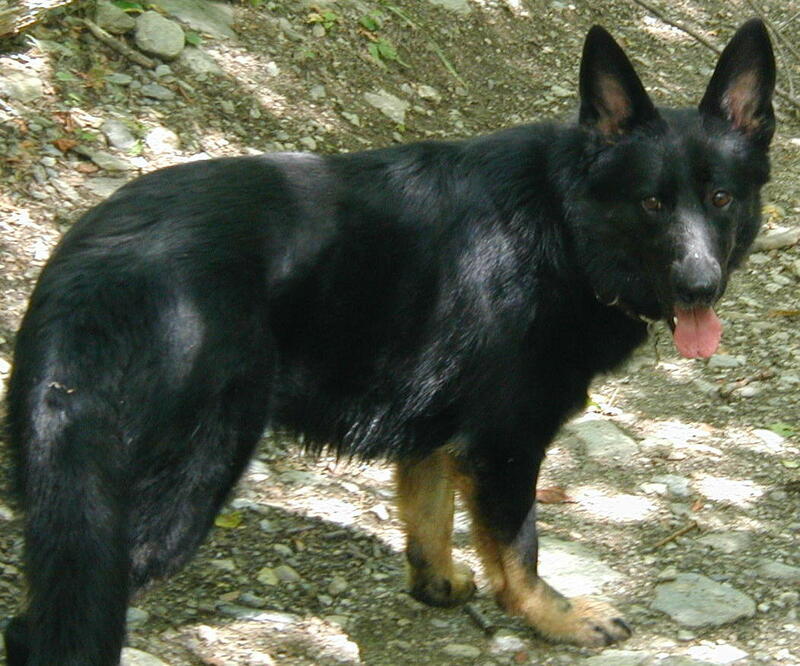 The German Shepherd Dog has long been a favorite breed. It is a working breed admired for its intelligence, devotion and loyalty to its owner, courage, steady demeanor, versatility, and physical prowess. That’s why the breed has been so successful in performing special services in police work, guiding and assisting, search and rescue, obedience competition, and, last but not least, as a family pet. The German Shepherd is a medium sized dog; averaging about 70 pounds and 25 inches to the shoulders, males are usually larger than females. It is a trotting dog with a graceful gate. They are bred for both a short and long coat variety and have a thick double coat, which means that they’re terrific shedders and will need frequent grooming -- something to keep in mind if you’re a neat freak. German Shepherds are highly intelligent dogs and therefore they require a great deal of mental stimulation (prime candidates for puzzle toys, right?!). Basic obedience training is a must for these dogs in order to harness their energies and minds in acceptable pursuits. Very social animals, they require plenty of attention and companionship, and their athleticism necessitates considerable exercise. While German Shepherds are bred to be devoted and loyal to their owner and a bit standoffish with strangers, one of good temperament should still be approachable, outgoing and not aggressive. As they are naturally protective of their human “pack,” they should not be molded to be overly aggressive, as it can be a very dangerous thing. And one of their most endearing traits: they are forward herders, walking in front and turning frequently to confirm the presence of their human “pack” behind. So is the German Shepherd right for you? German Shepherds make marvelous companions and family pets. But the price of this relationship is generous amounts of attention, exercise, and stimulation. Be prepared to enroll in a basic obedience class and to continue obedience work long after the class is over. German Shepherds are far too intelligent to let go fallow. This is a game of sniffing out a fragrant piece of food and it makes a wonderful pastime for any scent hound. Start easy in order to train the command “Go find it!”: Throw a piece of kibble across the room and immediately say “Go find it!” Gradually raise the bar a bit: take a piece of cold cut or a little chunk of chicken, put the dog in a sit-stay in one room, and plant the food in another room in plain view. As she gains fluency, make sure that the treat is increasingly well hidden, under furniture, inside an old rag on the floor, whatever… be creative! Just like you played as a kid… Put the dog in a sit-stay, then go off and hide, say the release word and call her name. Let her sniff you out! Playing tug can accentuate the herding instinct while at the same time making the “leave it” an important component of the exercise (i.e. a working dog would have to release the stray sheep on command).